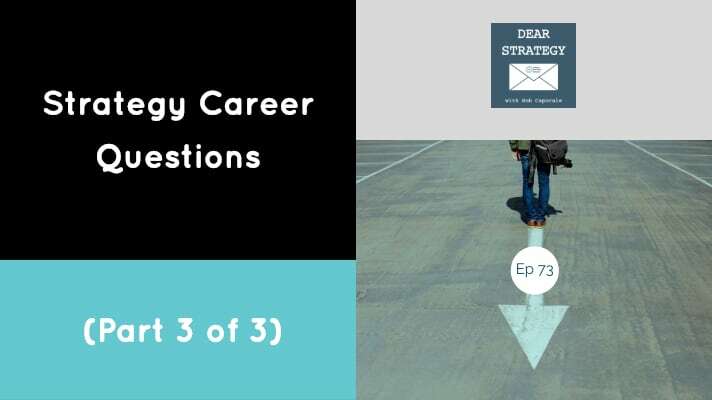 As with the other career questions we’ve answered in this series, definitions are important. And there is perhaps no greater point of confusion and debate than the definitions for these two roles. In some circles, the roles of product manager and product marketing manager are one and the same; effectively meaning that, for companies that take this approach, one of these titles simply would not exist. This is usually the case when product managers have been tasked with overseeing the entire end-to-end lifecycle of a given product or portfolio; in which case they are behaving as mini-CEOs of those respective lines. In this situation, the role might be called a “product manager,” a “product marketing manager,” or, in some cases, perhaps even a “general manager,” depending on the size and scope of the product business. This model, by the way, tends to be more common in business-to-business (B2B) type companies, particularly where more traditional, tangible products are involved. In other circles, the roles of product manager and product marketing manager are distinctly different entities, with product managers handling more of the front end of a product’s lifecycle (insight gathering, strategy, innovation, development, etc. ), and product marketing managers handling more of the later-stage lifecycle activities (launch, marketing, and overall marketing mix management). The trick to making this situation work is to have both of these roles working side-by-side – almost as one – which, as anyone who has worked in any type of corporate environment can attest, is not necessarily an easy task. This model tends to be gaining popularity in technology and software type businesses, as well as in business-to-consumer (B2C) type environments where larger marketing budgets might require more resources dedicated specifically to those later-stage tasks. So, the first thing I would recommend when choosing between these two roles is to make sure that you understand the definition of each within the specific company that you are interviewing with. Once you are reasonably certain about which role you are actually applying for, then I would go back to your overall career aspirations to help you make your choice. For example, if you are already a true end-to-end product manager, moving into a product marketing manager role might not give you any additional experience from a pure job description point of view. Of course, you would still need to consider the type of product you would be managing, the size and scope of the product business that you would be responsible for, and any other number of criteria that might fall outside the scope of just the role description itself. However, assuming all of these other considerations are more or less equal, then it might not make too much sense to move from that overall product business manager role into one that is responsible for only a smaller portion of the product life cycle. On the other hand, if you are a product manager that is currently only responsible for the front-end of a lifecycle, and your overall career aspirations are to manage a larger scope of any given business, then I would highly recommend supplementing your existing experience with some sort of a product marketing manager role. 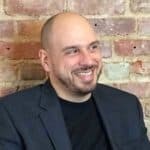 With that said, if you are happy in your current role and your overall aspiration is to perhaps move up in just the innovation, engineering, or even product management world (as it is currently defined by your company), then making that move into more of a marketing role might make less sense. The point is, just like any other strategy, you have to look at your overall career goals, and then set a plan in place that will allow you to achieve those goals. Contrary to popular belief, it is actually very admirable to set your career goals on being something other than an executive or a CEO. I can’t tell you how many people I meet that have their hearts set on running some large part of their companies someday. And, although I usually have no problem being blunt, I don’t always have the heart to tell those people that they have set statistically improbable goals for themselves. In any given medium-to-large sized business, there’s a ratio of one executive to many thousands of employees. If too many employees have their sights set on eventually landing one of those very small handful of top jobs, there are going to be a lot of disappointed people out there. There’s just no other way to slice it. Frankly, I wish more people would take the approach of setting their career goals based on passion over power. A CEO is not just someone who sits in the top seat of a company; it’s someone who is really good at leading a large number of people. That is a very limited skill that, honestly, few people are going to have either the ability or the desire to possess. And despite the fact that a CEO might make a lot of money, it is just one of many very important roles that will ultimately be required to make a company run. My point is, don’t take a job just because it may lead you down the path of being an executive someday. Instead, make sure that job is something that you really want to do, and that it is ultimately going to lead you down the path of doing something you are truly passionate about. 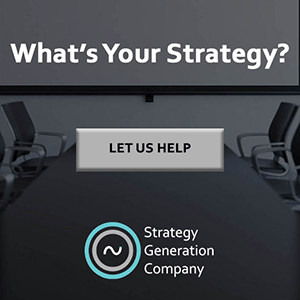 So, my best advice here, as with any other part of your career, is to make sure you have a strategy: Do your homework, set your goals, and then take real and planned strategic actions in pursuit of those goals. You might just be surprised at how differently your career looks when you start viewing it through a more strategic lens. 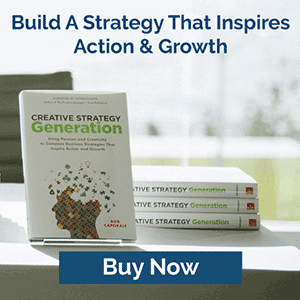 Bob Caporale is the founder of Strategy Generation Company, the author of Creative Strategy Generation and the host of the Dear Strategy podcast. You can learn more about his work by visiting bobcaporale.com.